RG Herald: Renowned Author Visits La Union Elem. Renowned Author Visits La Union Elem. 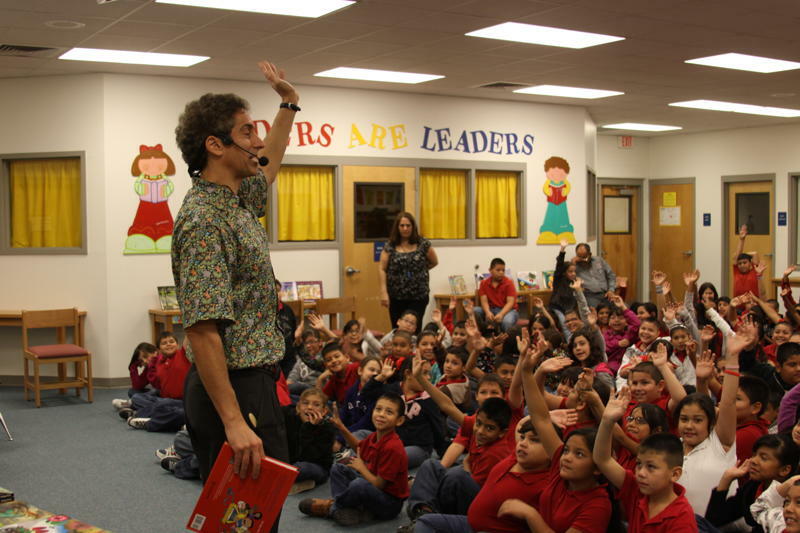 La Union Elementary students listened to word-traveling children's author Mathew Gollub as he interpreted his books by singing, drumming, and encouraged students to create music with their hands. Gollub captivated the children and inspired them to use their imagination. His Jazz and Rap routine allowed students to marvel in what was being read to them. He also encouraged children to learn and practice as many languages as possible in order to broaden their imagination. Gollub has written "The Jazz Fly", "Gobble, Quack, Moon", "Uncle Snake" and many more. (RGCCISD Photo).